Why Almeria for all Spanish holidays? Spanish holidays can both be a blessing and a nightmare. Why is that? Well, the peak season in Spain really means overcrowded beaches and packed restaurants. However, if you know how to choose your destination, your holiday is really going to be perfect. This is why Almeria exists. This amazing Spanish region managed to keep its secrets for years but those who are in love with discovering new places, started to explore it and what they’ve found is really rewarding. Almeria is a land of undiscovered beaches, unspoilt landscapes, natural and national parks which wait to be discovered and even a desert which offers you the possibility to relax and enjoy the beauty of these diverse surroundings. When you set foot on the land of Almeria, you also set foot on one of the biggest movie sets. I know, what you just read is probably very confusing, but you are about to find out that Almeria is a place where many directors chose to shoot their movies. The famous “Lawrence of Arabia” was filmed in the wide open spaces of Almeria’s desert, while thousands of other movies used the settings of the beautiful beaches at Cabo de Gata. The question that now rises is why was Almeria not too popular among investors? Why didn’t the tourism industry develop in such a beautiful place for so long? The answer is very simple: the investors didn’t bother to deal with problems like building electricity lines and airports. This is the reason why Almeria was such a remote, but such a beautiful place to visit; it is a region that has remained pure and clean throughout the centuries and the place that still keeps the essence of Spain alive. When you travel to Almeria, it is impossible not to visit the Tabernas Desert. The Desert is a protected area, but considering how harsh it is, it needs no protection. 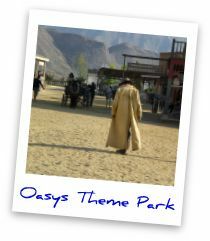 Don’t try to venture too far without a local guide; for many visiting the Mini-Hollywood sets is more than enough. This is the place where you can understand how life in the Wild West used to be, as Sergio Leone's Western Towns have been preserved in this place where rain falls only four days every year. In the opposite direction the beaches patiently wait for you, as does the crystal clear water of the sea. 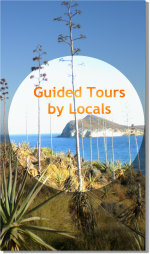 You see why I thought you may want to consider the Costa de Almeria as the destination for your next Spanish holidays? Being my second home since more than twenty years, I can definitely certify that this eastern corner of Andalusia is not only exceptional, but it is UNIQUE. 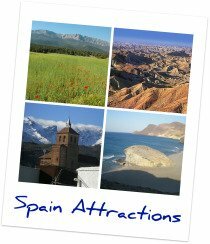 So what else makes this Andalusia travel and 'Spanish holidays' destination so unique? It is a place of contrasts that can brag about having the only desert on the entire European Continent, namely Tabernas desert,but on the other hand, it also has a list of eight very different natural spaces and most spectacular natural parks on the peninsula such as Sierra Nevada, a high mountain ecosystem which has been recognised as one of the world's 300 biosphere reserves, Sierra Marí-Los Vélez, surprising with snow in winter and Cabo de Gata Nijar,where you will find some of the last unspoilt volcanic beaches and reefs in Europe with breathtaking bays, crystal clear water and picturesque fishing villages. So you can literately choose between the desert, beach or snow and vivid fertile green in the province's northern part. 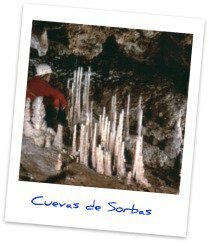 It is here, where you will have the unique opportunity to visit a natural cave at the 'Karst en Yesos', the most important network of Gypsum Caves in Europe. Don't worry, an expert cave guide will lead you through the galleries,eroded by underground streams with walls studded by crystals which glitter in the light of your helmet torch. Of course, you will be provided with all necessary equipment which will make you feel like an explorer! There are cave painting sites and rock carvings found in Almeria that have been declared a World Heritage site. One of the most famous cave images is called the 'INDALO' and it has been adopted as Almeria's symbol. Los Millares , Europe's most important archeological site from the Copper Age! Spending some real Spanish holidays at the Costa de Almeria is a wise option for Golf sportsmen, since it is an absolute Golfer's paradise, boasting ten golf courses, sprinkled along the coast, all characterized by a great variety offacilities in magnificent surroundings; thus being a major lure for golfers from all over the world. 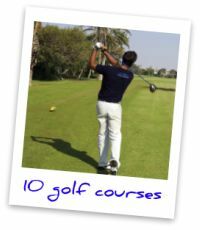 Amateurs and professionals alike enjoy fantastic golfing holidays in Almeria. With more than 3000 hours of sunshine per year and the lowest annual rainfall in Europe, it is only natural that this place was chosen as an ideal site for the largest solar-energy center in Europe, the CIEMAT-Plataforma Solar de Almería,PSA, which can be visited with prior arrangement. 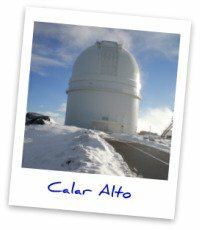 One can enjoy what is probably 'cleanest'sky in all of Europe, proof of which is Europe's second largest astronomical observatory, Calar Alto. From here, one can enjoy breathtaking views of the 'Sierra de los Filabres', the 'Desert of Tabernas' and, on clear days you might even spot the sea. 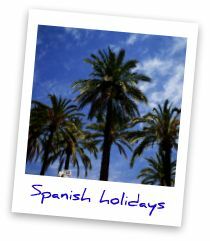 - Here you definitely will experience different Spanish holidays! Almeria is also home of beautiful marble,which was probably first discovered by ancient phoenicians in Macael. In the 13th and 14th centuries marble was extracted to build the Alhambra and today it is being exported to many places in the world. There is also an abandoned gold mine, a very emblematic site. The province is also an unique filming location for movies from all around the world and it was a meeting point for celebrities, such as Sergio Leone, Steven Spielberg, Arnold Schwarzenegger, Clint Eastwood and John Lennon, who celebrated his 26th birthday in the capital, while writing his song Strawberry fields forever. 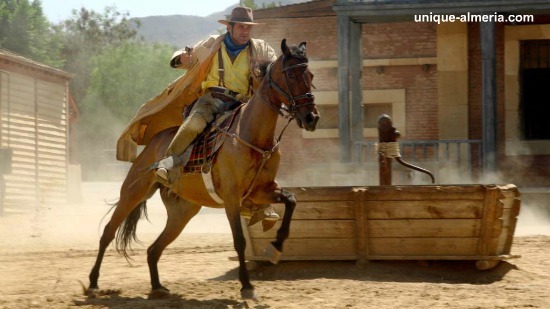 The list of movies shot in this province is endless, 'Indiana Jones and the Last Crusade, A fist Full of Dollars, The Good the Bad and the Ugly to name only a few. If you have decided that Almeria will become your next Spanish holidays destination, beware! You might get attached to this land as I did, and you might feel the need to come back frequently! Enjoy your next Spanish holidays and the beauty of Almeria!